The day Mr. FFID offered me Plenty More by Yotam Ottolenghi our vegetable consumption increased considerably. Ottolenghi is an Israeli chef based in London, he owns the restaurants Ottolenghi and Nopi and he's a food writer. The last time I talked about a cookbook on this blog was when I fell in love with Yotam's book 'Jerusalem' which is probably the cookbook I've used the most to date. Plenty More is a celebration of vegetables and grains, even the ones people tend to be scared of like cauliflower and Brussels sprouts. There are eleven sections in the book based on how the vegetables are cooked: tossed, steamed, blanched, simmered, braised, grilled, roasted, fried, mashed, cracked, baked and sweetened. That's a lot of possibilities isn't it? It's a brilliant book as it shows how versatile vegetables and grains can be. All the dishes are colourful, a mix of textures and the use of many spices and herbs always result in the tastiest food. When you start using this book, your pantry begins to slowly fill up with the most amazing spices and starts looking like the shelf of an ethnic food shop. If you're based in Dublin city centre there is a ethnic supermarket on Moore Street where you'd have no difficulty in finding all the ingredients necessary to an Ottolenghi's recipe. Once you have stocked up on a few of them they will be used again for pretty much all the recipes. I've made many dishes from Plenty More (see pictures above) and never have I missed meat, I swear. The Courgette 'Baba Ganoush' is scrumptious and a great alternative to the usual aubergine version. The squash with chilli yoghurt and coriander sauce is a wonderful tasty dish and the crushed Puy lentils with tahini and cumin make a great little supper. There is a recipe called 'Aubergine, potato, tomato' which is a fantastic brunch and so are the spicy scrambled eggs. The cauliflower cake was probably the recipe that surprised me the most, very easy to make, light in texture but also quite filling at the same time as well as looking pretty with the red onion rings on top. There is one intriguing recipe I haven't found the time or the will to try yet: the slow-cooked chickpeas on toast with poached egg. Sounds easy? It takes 5 hours to make, not sure if I could start cooking brunch five hours ahead but you never know. The food photography in the book is stunning yet simple, no use of fancy props here, it's all about the veg. I only regret that not all the recipes have an accompanying picture, I tend to skip the ones without. Believe me, I LOVE my meat. In France, being a vegetarian is a sacrilege. French people just can't imagine a proper meal without meat. I have to say I love my veg too though, my parents raised me eating a variety of veggies and while there are none I dislike, you can sometimes run out of ideas or tend to eat the same vegetables or cook them the same way. 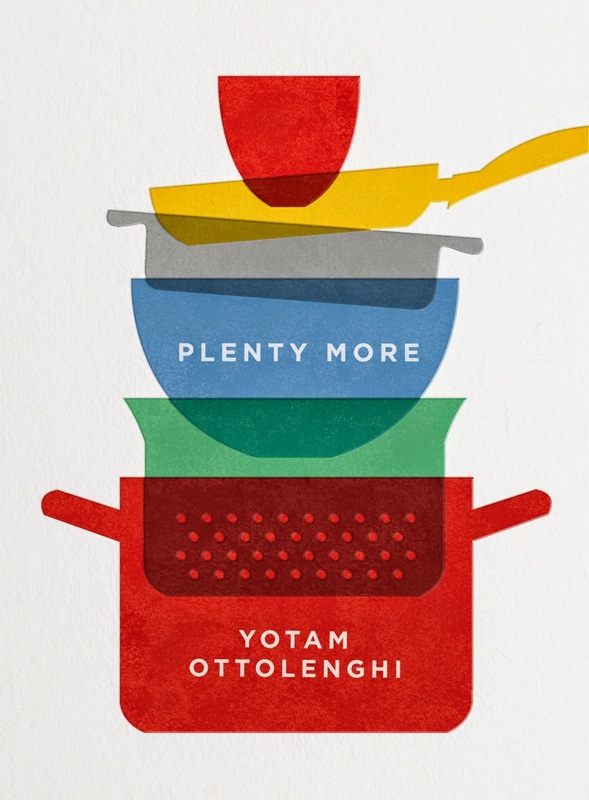 Plenty More is the perfect book to make you re/discover a love for vegetables. Who knows, you might even become a vegetarian. Disclaimer: Mr. FFID bought Plenty More for me, I wasn't asked by anyone to review this book... Trust me, it's great!